LONDON (Reuters) - AstraZeneca is to buy 55 percent of privately held biotech firm Acerta Pharma for $4 billion to give it access to a new kind of blood cancer drug, boosting its long-term growth at the cost of a near-term hit to earnings. It is a lofty price but AstraZeneca believes acalabrutinib could sell more than $5 billion a year, supporting its return to growth and completing the transformation of the drugmaker's oncology business. "By doing a dilutive acquisition we don't make our lives easier in the short term but we are committed to our stated goals and we will manage through," Chief Executive Pascal Soriot told reporters on Thursday. Future acalabrutinib revenue would be on top of the $45 billion sales target for 2023 set out last year, he added. AstraZeneca may end up paying as much as $7 billion if it acquires the rest of Acerta, reflecting fierce competition among pharmaceutical companies for promising new drugs in the hot field of oncology. It is a bold move by Soriot, who has been overhauling AstraZeneca since he arrived three years ago. Deutsche Bank analyst Richard Parkes said the deal looked smart but could divide investors. "While significant clinical and commercial risks remain, the transaction could ultimately prove a stroke of genius, adding a multibillion-dollar potential drug launch in 2017 that could accelerate AstraZeneca’s re-emergence as a major force in oncology," he said. Acalabrutinib works in a similar way to AbbVie and Johnson & Johnson's product Imbruvica. But AstraZeneca believes the new medicine, which is now in final-stage testing, could be best-in-class, since it has fewer side effects than Imbruvica and potentially better efficacy. Other rival drugs are further behind in development. AstraZeneca will pay $2.5 billion upfront, funded from cash and debt, with a further $1.5 billion paid either on receipt of the first regulatory approval for acalabrutinib or at the end of 2018, depending on which comes first. Acerta shareholders will have the option to sell the remaining 45 percent of shares in the biotech company to AstraZeneca for approximately $3 billion, once acalabrutinib has been approved in both the United States and Europe. Acalabrutinib is expected to be submitted for regulatory approval in the second half of 2016. Soriot said the deal was consistent with his drive to build up the cancer business, although he did not expect to buy in many more oncology assets. The new medicine is a so-called Burton's tyrosine kinase inhibitor that targets an array of blood cancers and potentially some solid tumors. It may also help in autoimmune diseases like rheumatoid arthritis and lupus. 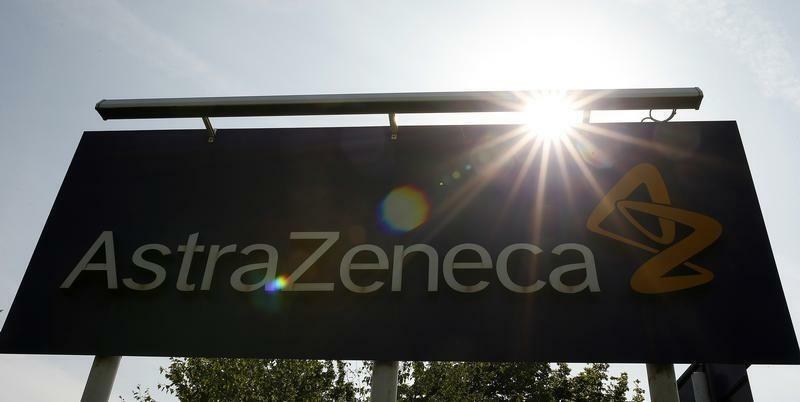 Adding Acerta boosts AstraZeneca's pipeline as sales of older blockbuster products, including cholesterol fighter Crestor and heartburn pill Nexium, lose patent protection and it marks the latest in a run of bolt-on acquisitions. Last month AstraZeneca agreed to buy ZS Pharma, a specialist in treating high potassium levels, for $2.7 billion and on Wednesday it clinched a deal to pay $575 million for Takeda's respiratory business. The Acerta agreement, which is due to complete in the first quarter of 2016, is expected to dilute earnings "moderately" in the near term, AstraZeneca said. The drugmaker had announced on Monday that it was exploring potential strategic options with Acerta, which is based in the Netherlands and California. Goldman Sachs and Jefferies advised Acerta. AstraZeneca declined to provide details on its advisers.